The translation I'm fondest of: Francis W. Cleaves, who has run afoul of the majority for his attempt at a King James Bible English. He argued that he should be archaic, like his original, and that the King James style was 'singularly consonant' with the matter in hand. Dammit, he was right. Isenbike Togan defends this style, which grants to the oral tradition of history, not just its true dignity but its true weight and strength for people of the time. Cleaves is obscure, but often because he is over-exact. Sorry, but I find him more in sympathy with the material than other translators - which includes Igor de Rachewiltz. The latter you need too for study, because of its hundreds of pages of notes. Cleaves meant to put out a second volume with his notes, but never did: this volume only has brief footnotes. 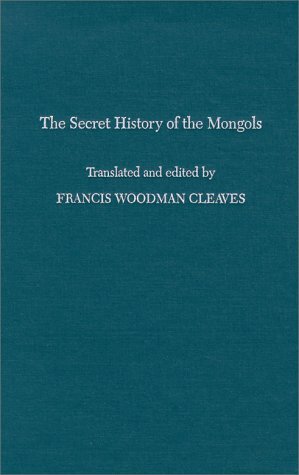 Sign into Goodreads to see if any of your friends have read The Secret History of the Mongols.